Compatible with drill bits of sizes from 0.1-3.2mm. 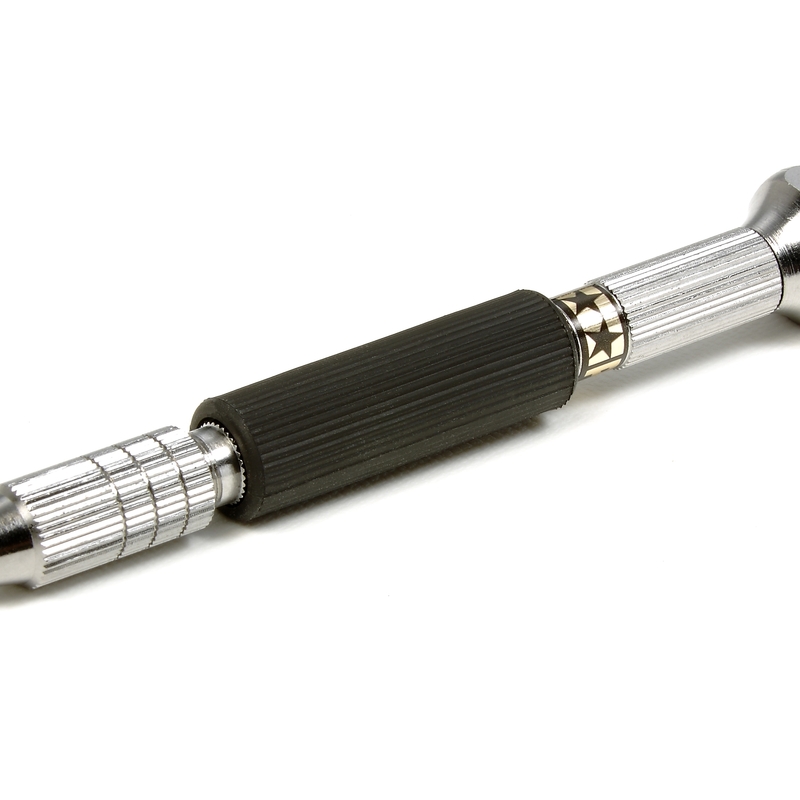 Rotating grip end features built-in ball bearings for smooth movement. 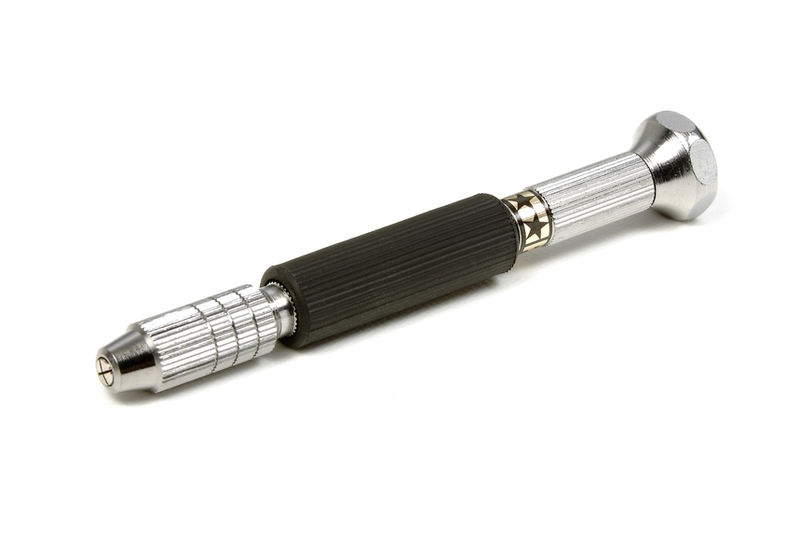 Made from nickel-plated brass, with elastomer grip. Features metallic sticker with the Tamiya twin star logo and wording "PIN VISE". The rubber grip is engraved with the wording "TAMIYA".